Remember my tutorial on Basic Aperture? Well here we are going to go over Shutter Speed and how it can affect your photos! Now, as I’ve said before, photography is all about light. The LONGER the shutter is open, the MORE light is let through, the SHORTER amount of time a shutter is open, the LESS light is let through. Another way to not only control the amount of light but to control the mood, action, movement, and flow of a photo is by using your shutter speed to either slow it way down or speed it way up. I suggest (if your camera has this option) you shoot in shutter priority (usually SP or S on the dial). 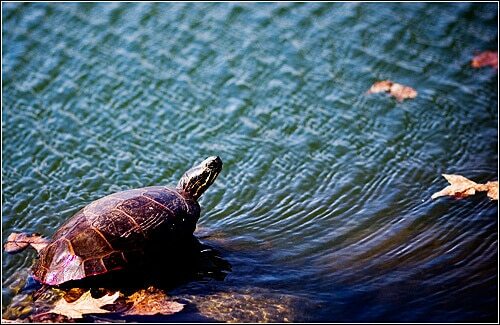 You can control the shutter speed and it will automatically select the aperture. As you can hopefully see in the progression here, going from a slower shutter speed made the water more smooth, silky, and less defined, by the end of the progression you can see how it caught a lot more of the action, the water was VERY defined and almost “frozen”. When it comes to shutter speed, it’s defined by time. How many seconds or fractions of a second does it take to shoot that photo. For example having your shutter speed be 1 second would be considered a “slow” shutter speed, while 1/500th of a second would be considered a “fast” shutter speed. Here are a few random examples of photographs I’ve shot over the years. By using a slower shutter speed you really should use a tripod otherwise the photo can be blurry, generally everything BELOW 1/80th of a sec will need a stable base like a tripod or wall or table. So to sum it up, if you want to take a photo that you want well defined and crisp, use a fast shutter speed andi f you want a more moody or silky photo, a photo that shows movement, use a slow shutter speed. I love that you break it all down in a simple, easy to understand format. 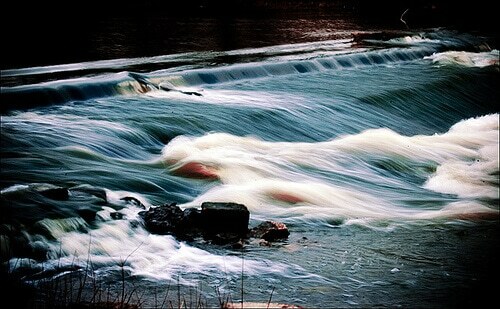 I can’t wait to go out and play around with my shutter speed. The tutorial on aperture was great as well! Thanks Sarah. I can’t wait to see your results! Thank you so much!! What camera do you have? I have a Canon Rebel T1i. Again, still learning but having a blast figuring it all out. I love watching the progression of the water fountains. Very cool. Thank you! 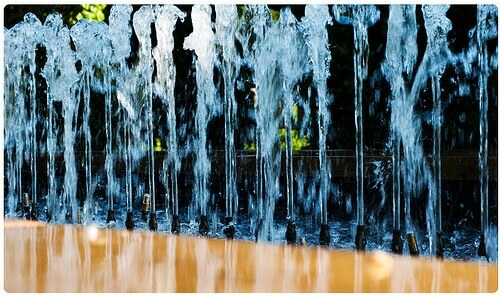 I LOVE those low fountains at the gardens, I have way too many photos of them! Yay I’m glad it helps! I’ll have to dig my manual book and find out how to change the speed but OMG those pictures are so awesome, girl! What camera are you using? I’m using Canon Rebel for almost 2 years now but still haven’t venture outside P & AV mode hahaha. Thanks for this! Thank you! I currently use the Nikon D90 with a variety of lenses, previous to that I used the Nikon D50 (which we still have). Stopping by from SITS. I love playing with Shutter Speed & water fireworks or anything that moves. It gives photos such an artistic feel. Although, most of my photos remain over 125 with my kiddos being so active. I love your 8 second lapse photo- I’m going to have to play around with taking photos with people! Never tried that before. :) Great Post! Happy Memorial Day. 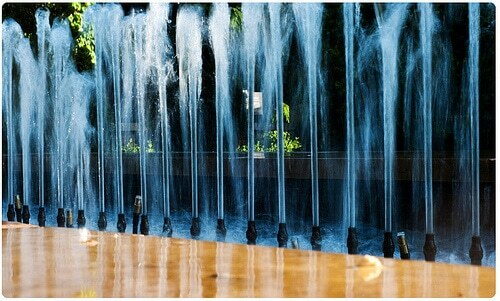 Oh yes, especially with water, you can really change the mood of a photo by adjusting the shutter speed. 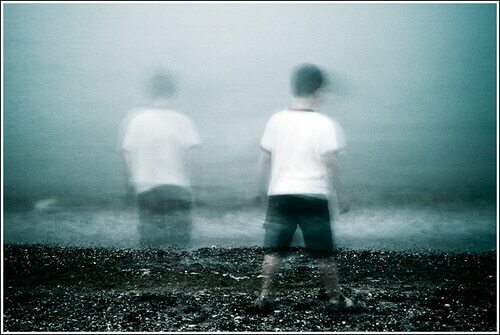 It’s so fun to try a “ghostly” image by using a super long shutter speed! My son was a great sport for me that day! This is off-topic but I saw your comment on SITS and wanted to stop by to let you know your uncle is in my thoughts and prayers. I live in one of the towns that is the last stop for soldiers going over and coming home. He may have passed through here on his way over. Maybe we’ll see him on his way back. Please come over to read this and click on the link to learn more about the Pease Greeters who give back every day. Thank you so much! He’s been in the military for over 30 yrs now, he’s a lifer that’s for sure! What area are you from? Everyone with a dSLR definitely needs to read their manual and figure out how to change shutter speed, aperture and ISO. I also think spot metering is much better than matrix metering, too. It’s terribly easy to shoot manually when you know how to adjust the settings. I never shoot in shutter priority mode. It’s either aperture priority or fully manual. I never like letting the camera choose my aperture for some reason. Maybe I’ll try shooting in shutter priority all today as an experiment. Oh yes, when I still was working, I can’t tell you how many times I would see a customer walk in with a dSLR and get let down when they complained how shooting with the kit lens on auto didn’t give them just MAGICALLY AWESOME photos so the camera HAD to be “defective”. Or how people praise the camera instead of the photographer, MAJOR pet peeve of mine. I also shoot mainly in AP or manual mode only as generally my subjects are flowers or the kids lol. 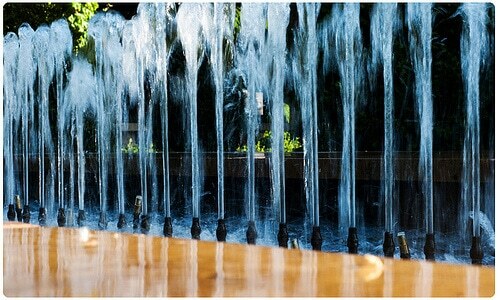 Oh I love playing around with shutter speed! 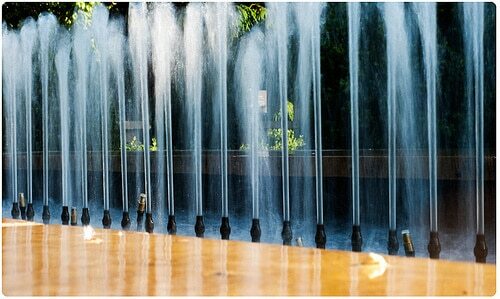 Mostly I set my aperture to 5.0 and change shutter speed to capture the moments. Sounds like you shoot mainly in manual, awesome!! You take such amazing photos. I am in awe. Awww thank you so much!!! So here’s a question (because I have never read the instructions on any crappy camera I’ve ever owned) – is this the kind of thing that can be manipulated on a point & shoot? Or is this only for the fancy-pants DSLRs? I always wonder if my camera is crappy because I don’t know how to use it, or if it really is just completely limited to one button usage. Actually you CAN adjust shutter speed and aperture on most point and shoots these days! Keith has an old Kodak he gave Daniel and sure enough, has manual adjustment settings! Have you read your manual to see if it’s an option? I love your pictures – and your very beautiful visual explanation! Love how simple you make this sound! I’m a semi-professional Sony shooter and am ALWAYS looking for hints and tips from others whom I admire. So glad I found your site through SITS! 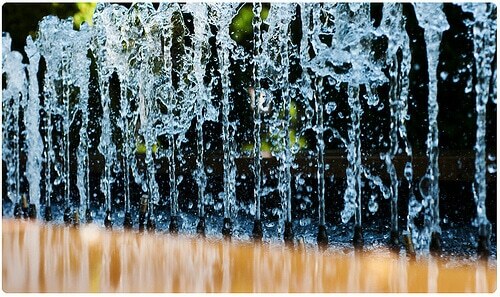 BTW, were you using a neutral density filter on the shots of the water cascading down and over the rocks? If not, then I’d love to know how you achieved that wonderful soft effect? Lovely captures! Look forward to visiting your site more, and getting to know you. I did NOT use a ND filter. 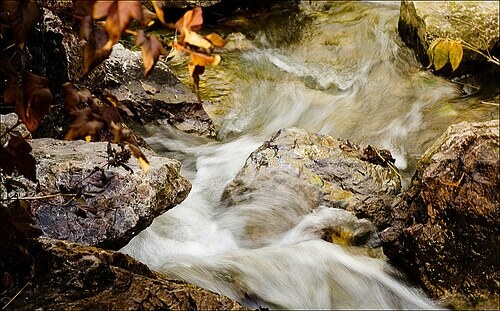 By using a slower shutter speed and my tripod I was able to create that silky water effect. I also will use my circular polarizer if I need to cut out some reflections or get rid of some light. I will also use a small aperture to get rid of light as well so I can leave the shutter open longer. I try to shoot those photos on overcast days when possible so I don’t have to do too much lol. Ah thank you! I think you may have meant aperture AND shutter speed? So nice and simple. I love this. Perfect. That’s awesome. I wonder if my crappy camera is capable of doing something like this. I’ll definitely have to play with it and find out ;) Thanks for the tip!! LOL it’s very well possible your camera has the ability to control some manual functions. I highly suggest reading your manual! Yay awesome!! I can’t wait to see what photos you take! I am still learning my own camera and I need as much help as I can get. I hope to see more posts like this! I can’t wait to get my new Nikon D5100 any day now… and I’m trying to learn some stuff before I get it. Thanks for your info! It helps with the pictures as well. I’ll have to come back when I get the camera to recap again. :) It’s been thumbs uped on Stumble for me so I’ll be easily able to get back!